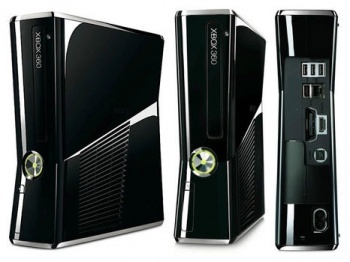 Disagreements over technology has led to Motorola trying to prevent Microsoft from bringing new Xbox 360s into the US. Motorola has filed a complaint with the United States International Trade Commission, alleging that Microsoft has infringed on a number of its patents with the Xbox 360. The complaint says that Microsoft has violated section 337 of the Tariff Act of 1930, which specifically deals with the importation of goods into the US that infringe on patents, copyrights or trademarks. The Xbox 360 is manufactured overseas, meaning it is eligible for such a complaint when it enters the country. Motorola is demanding a cease and desist order, which would prevent Microsoft from importing the goods, and an exclusion order, which would prevent the consoles from entering the country. Whether or not Motorola will get its wish depends on the results of USITC's investigation, which began last week and is likely to conclude early next year. This complaint comes just weeks after Microsoft sued Motorola over "excessive and discriminatory" patent licensing fees for some of the technology in the 360's wireless LAN adaptor, as well as some of its video codecs.